I’m still hung up on truth and trust portion of the program this week. Our minds can only hold about 150 people in our head with any quality. There are billions of people on the internet already, and billions more waiting to come online. Thats an overwhelming discrepancy. How can we build systems to help our finite minds engage with these masses of other people without retreating to bubbles? Apparently there’s a word that economists use to describe the paralyzing fear that leads to doing nothing over something productive: Uncertainty. That one word has its very own very own course. A lot of people super excited about BitCoins aren’t super excited about BitCoins, per se. They’re creating research labs and developing courses around the “blockchain” technology that underpins it. 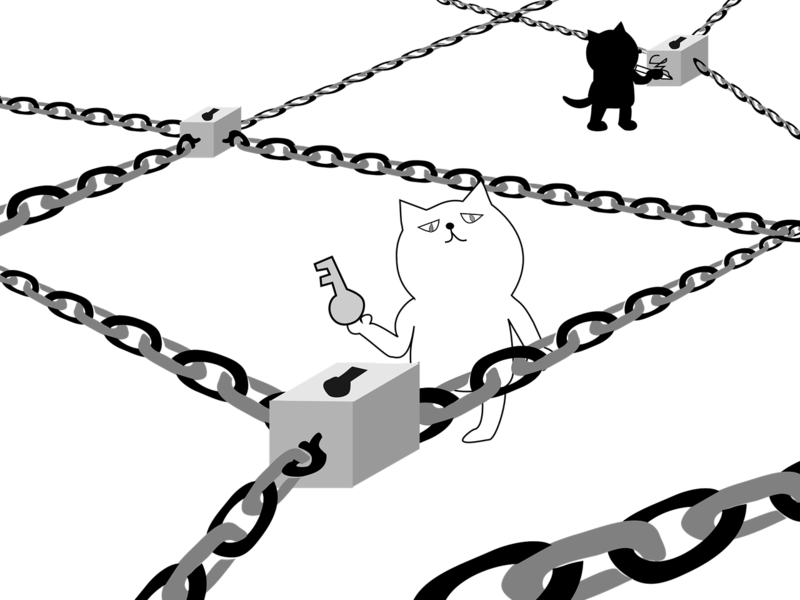 Blockchains reduce uncertainty in the economics meaning of the word by creating distributed autonomous organizations. These self-enforcing trust networks could have tremendous implications for day to day life. Institutions exist to address the uncertainty problems once a society grows beyond that 150 people. My driver’s license tells the bartender I’m old enough to drink because the state of California says so. The money for a complicated transaction can be held at an escrow account at a bank. People trust the information from newspapers partially because they have a whole infrastructure around them. Blockchains can form institutions that don’t need forgeable plastic cards, big buildings or a board of directors at the top to be real. The Bettina Warburg (Blockchain Futures Lab) TED talk covers this material well and clearly for nontechnical folks without going all grandiose like the Tapscotts‘ TED and Google panegyrics. If 20 minutes will take too much out of your day, here’s the 2 minute summary. Beyond generalities, Scott Driscoll (CuriousInventor) has packaged up some of his videos and added more material in a 3.5 hour pluralsight course for developers. Watch the video below to see if his teaching style matches how you learn. He also wrote up the entire video. I kept running into folks citing this guy and his channel everywhere. For example, this 35 page paper out of a berkley class lists many other entities using blockchains. To pull out just one, Namecoin demonstrates a model for redesigning DNS (website name records), a system that can be censored or hacked. Also citing Driscoll, this write up on block chains for web developers. A long read article that doesn’t swipe Driscoll’s graphics, A gentle introduction to blockchain technology on Bits on Blocks does an excellent job of teasing apart the difference between blockchain in theory and how bitcoin works specifically. Blockchain seems a little like other crypto, fairly challenging to roll your own, although there are articles directed at CIO’s on how to get your company rolling in that direction. Chain (github) Semi Open. High profile company has released some of the core code while retaining special sauce. Openchain (github | Docs) Opensource with a docker deployment. Multichain has made noises that it will go open source but I haven’t seen it do so yet. They do have a blog with some interesting articles on it. Societies have developed all sorts of arcane manners and protocols to enforce trust and create repercussions for those who break it. Whether the change will prove to be revolutionary or evolutionary, blockchains provide a new tool to solve an old problem.